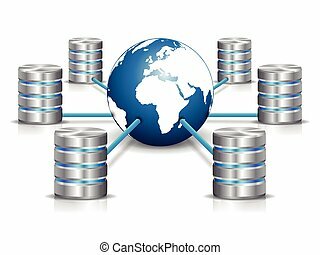 Database network. 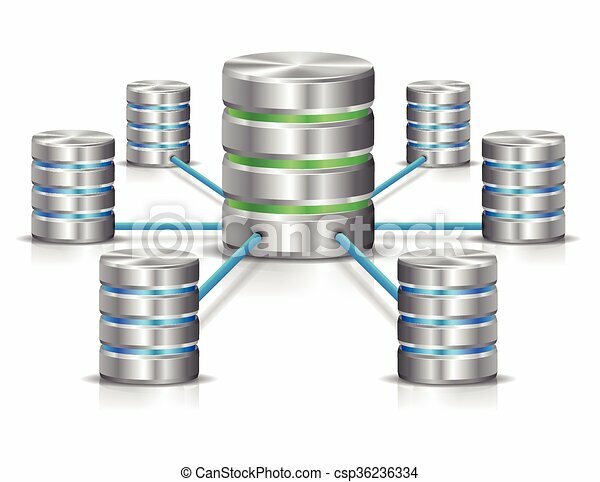 Metallic database networking concept. 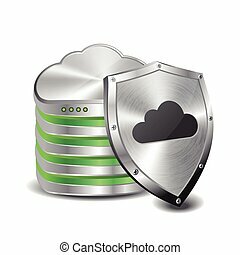 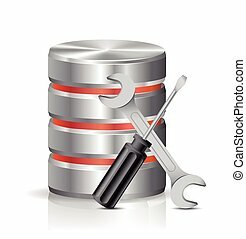 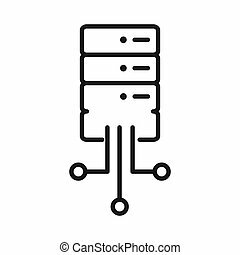 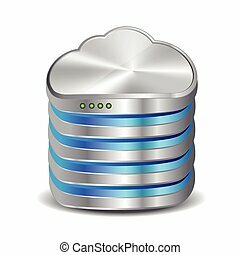 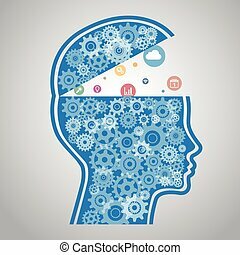 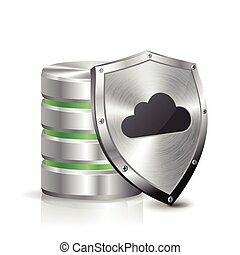 Database network icon. 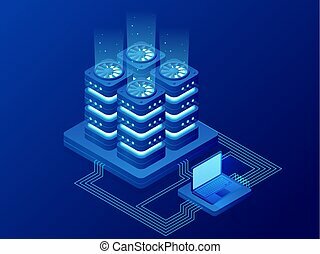 Flat Vector illustration on white background. 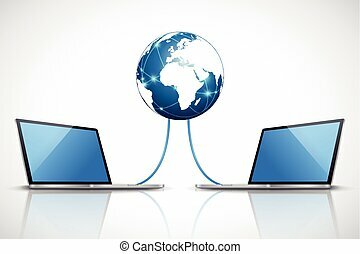 Laptop connected with internet server. 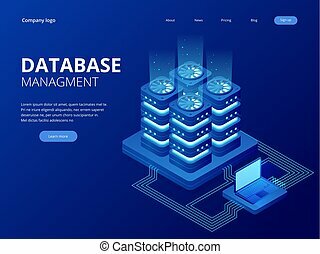 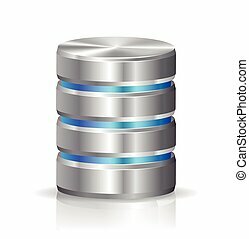 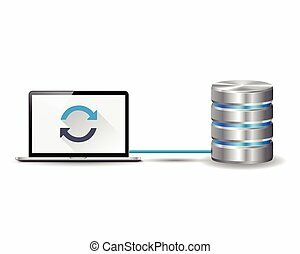 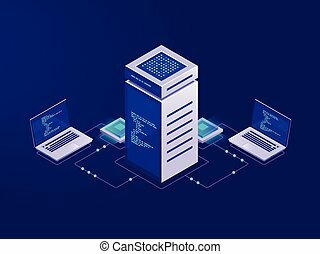 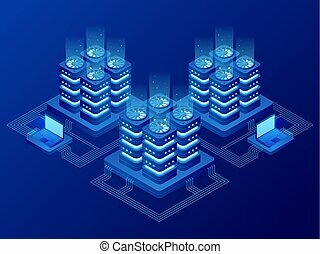 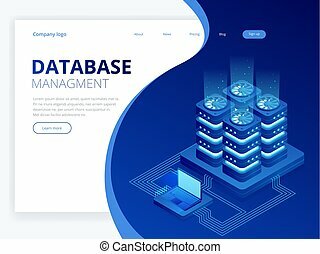 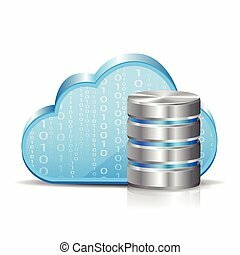 Metallic database networking and blue earth globe isolated on white background. 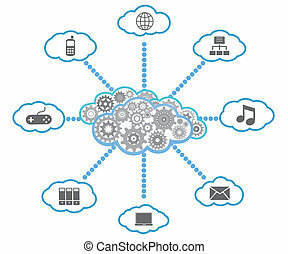 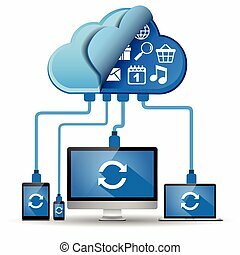 Multiple devices connected to the cloud. 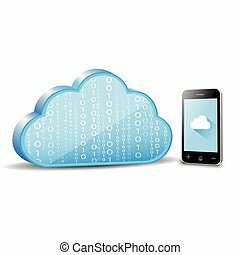 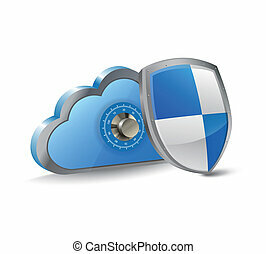 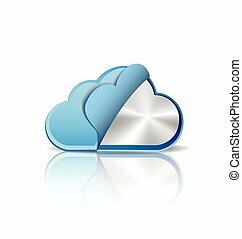 Laptop, desktop, smartphone, and tablet with sync symbol and cloud applications.